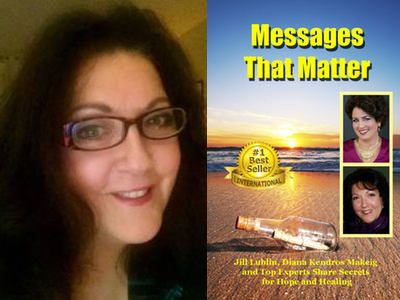 Congratulations to Diana Kendros Makeig featured in the #1 International Bestseller, Messages That Matter! Jill Lublin and Top Experts Share Secrets for Hope and Healing. Diana Kendros Makeig is a communications strategist who has founded and operated several companies, ranging from an exclusive Ayurvedic Day Spa in Southern California to product development companies with worldwide customer bases. Her current business venture is Identify Connected Communication, which teaches communication and inner dialogue techniques enabling her clients to take full responsibility for their thoughts, words and actions. Using her Connected Communication Method, Diana teaches her clients how to uncover concealed beliefs and intentions, remove unspoken negative impressions, survey their pre-conceived conclusions and step into a space of exploration, whether in the workplace or personal life. The resulting wisdom and empowerment are transformational, allowing clients to respond to life in intentional, responsible, constructive ways and begin to enjoy more freedom and fulfillment in every area of life. Mary Beth Daniels is featured in Expert Insights’ #1 International Bestseller Ready, Aim, Thrive! Mary Beth Daniels is the lead soul midwife and founder of the Soul Celebration Sanctuary & Healing Community in Martha’s Vineyard where others come to heal, to discover, to grow, and to transition into the next phase of their soul journey whether it is death or new life. Mary Beth is a certified SoulCollage® facilitator, spiritual counselor, Marconics energy practitioner, animal assistance handler and therapist, as well as long-time doula for the dying having worked in hospice for many years. She also holds a Masters of Divinity from Drew University and a Masters in Direct and Interactive Communications from NYU. After many successful years as a Vice President of Customer Relationship Marketing in Corporate America, she stepped out to honor the spiritual calling on her life, and graduated from Drew University Theological School in 2012. She presently serves as a Chaplain for Hospice of Martha’s Vineyard, facilitates spiritual groups and workshops, officiates worship services for her local church, parents foster children, and volunteers on Task Forces for the Martha’s Vineyard Healthy Aging Project and the Island Clergy’s Homeless Initiative. 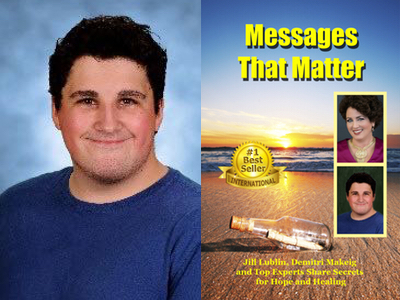 Congratulations to Demitri Makeig featured in the #1 International Bestseller, Messages That Matter! Demitri Makeig is a filmmaker and screenwriter. A graduate of Interlochen Center for the Arts, he was a YoungArts winner and participated in the YoungArts Miami regional program, where he studied with master writers. He also received a Silver Medal and multiple honorable mention awards from the Scholastic Art and Writing Awards, for his screenwriting and photography. Demitri’s senior thesis film, Multiplayer was an official selection at the 2015 Traverse City Film Festival, All American High School Film Festival and the Miami Independent Film Festival. His film was also chosen for the Interlochen Review and was the film department’s pick to screen at the Honors Convocation in May 2015. His preferred genre to write is satire. He now attends the Relativity School in Los Angeles, in pursuit of a B.F.A. in Film and Digital Content with a concentration in Writing for Film and Television. 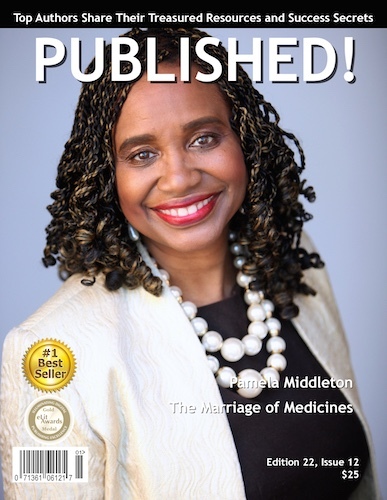 featuring Dr. Pamela Middleton has been released. 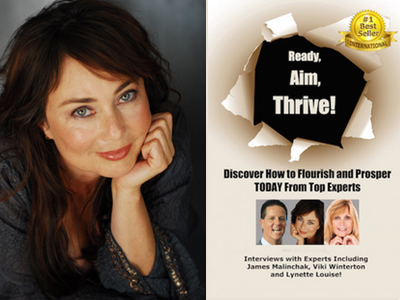 Lynette Louise is featured in Expert Insights’ #1 International Bestseller Ready, Aim, Thrive! In 2004, Lynette Louise aka THE BRAIN BROAD founded the Brain and Body Clinic, a treatment center for autism and other brain disorders using neurofeedback, a therapy that improves functioning by training individuals to control their own brainwave activity. Although originally based in Santa Monica, California, Lynette decided a clinical setting was counter-productive to the majority of her clients. She now works with clients and their families all over the world. Congratulations to Cinder Ernst featured in the #1 International Bestseller, Messages That Matter! Knee Friendly Fitness Coach Cinder Ernst is passionate about helping plus size people all over the world to move their bodies, no matter what size or shape they are, so they can age gracefully and have full active lives. Cinder is a Medical Exercise Specialist and an Accredited Life Coach. In the last 25 years, Cinder’s Heal Your Knee and Get Your Life Back Programs have helped hundreds of people reduce pain, gain strength and stamina and live healthy lives. Having overcome her own battle with addiction and poor body image, Cinder stopped dieting and hating her body 25 years ago, and began a journey to guide other women to live more active, fit and joyful lives as they take control of their bodies and their health. 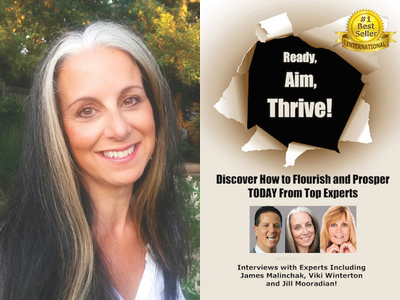 Jill Mooradian is featured in Expert Insights’ #1 International Bestseller Ready, Aim, Thrive! Jill Mooradian is both the creator and master teacher of the Synergenic Way™ ― “the artful science of soul fulfillment.” The Synergenic Way™ is a structured approach to re-establish unification, alignment and balance into the body, the mind, the emotions and the spirit, for the purpose of self-empowered healing and spiritual evolution. For more than 25 years, Jill has dedicated herself to learning from leading experts in their specific field of knowledge. Her ability to understand pathology and pain from a multidimensional perspective has allowed her to assist thousands of people to transform disturbances in their health and sense of wellbeing.